Israel and — to a lesser extent — Saudi Arabia continue to dictate much of U.S. foreign policy in the Mideast, especially animosity toward Iran. But the Iran nuclear deal may change the dynamic toward a more balanced strategy at least in the long term if not the short, as Gareth Porter explains. The achievement of “implementation day” of the Joint Comprehensive Plan of Action (JCPOA), when for both sides the central elements of the nuclear bargain went into operation on Saturday, means that it is going to be a fact of life in global and regional politics for many years. But will it have a profound impact on regional politics? That is the argument both the Barack Obama administration and U.S. allies in the Middle East who have opposed it have made in the past. While Washington has said the agreement makes it more likely that Iran will eventually come to terms with its neighbors, Israel and Arab states have advanced precisely the opposite forecast, suggesting it will inevitably cause Iran to be far more aggressive and uncompromising. 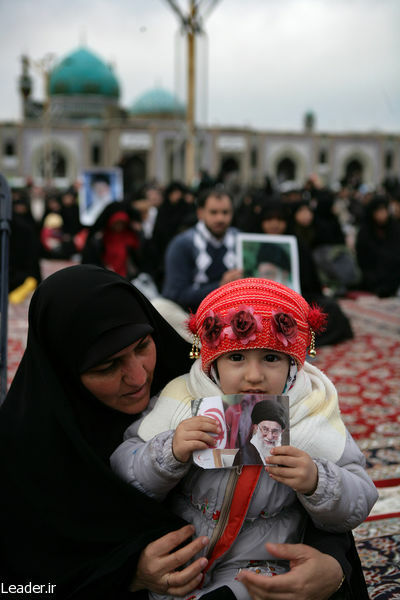 However, especially in light of the dramatic deepening of the conflict between Iran and Saudi Arabia over the past year, it is now clear that focusing solely on whether it will reshape Iran’s policies is the wrong way to define the problem. Far more important is whether the agreement will create the impetus for realignment of U.S. policy in the region. Both sides have used their arguments as devices to advance their political interests rather than offering serious political analysis. The Obama administration has argued that by closing off the pathways to an Iranian nuclear weapon, the agreement opens up the possibility of domestic and foreign policy changes in Iran. That was a poorly conceived self-serving argument: the imagined possibility of having nuclear weapons in the future was totally irrelevant to IRGC involvement with Hezbollah in Lebanon, or to its presence in Iraq and Syria. The Israelis and Saudis, on the other hand, have insisted that the nuclear agreement would empower the Iranians to be far more interventionist in the region as well as to continue to seek nuclear weapons. The Israelis pushed the idea that Iran would use the additional income gained from lifting sanctions to fund Hezbollah or the Syrian government, making the region more unstable and more threatening to Israel. Yet the Iranian support for Hezbollah is a fundamental national security investment that has never depended on any additional infusion of resources from the nuclear deal. In fact, the commitment to support Hezbollah troops in Syria was taken in 2012, well before the nuclear negotiations had even begun. Both Israeli and Saudi officials have suggested that the Obama administration’s negotiation of the agreement represented a decision to fundamentally alter its alliance policy by entering into a quasi-alliance with Iran. The Saudi fear of an entente between Washington and Tehran may have deepened since the agreement was reached, but Saudi fears of U.S. acquiescence in a regional distribution of power – which Riyadh has found unacceptable – are not really about the nuclear deal itself; rather, they center on Saudi unhappiness with the failure of the United States to go to war in Syria. Similarly the Israeli objection to the nuclear deal was ostensibly that it wasn’t really going to end Iran’s quest for nuclear weapons. However, what the Israelis really wanted was to reduce Iran’s military and economic power, either through military confrontation between the United States and Iran or through crippling sanctions. The agreement represents the ultimate failure of that long-term Israeli strategy, but that has nothing to do with the longer-term issues and forces at work in the region. The agreement is clearly not going to influence regional politics by depriving Iran of nuclear weapons that Iran has had no intention of obtaining anyway. The real issue is whether the process of negotiating has created a new U.S.-Iran political dynamic that can influence the outcomes of the conflicts in Syria, Iraq and Yemen. That is what both the Obama administration and the Rouhani government appear to be hoping for. Secretary of State John Kerry and Foreign Minister Javad Zarif both suggested that the new relationship helped to quickly resolve the incident involving two U.S. Navy ships that sailed into Iranian waters. Even so, it is highly doubtful that the agreement will have a very deep impact on U.S. policy in the next few years or affect any of the intertwined conflicts that are reshaping the Middle East. U.S. policy toward Iran is the product of decades of constant anti-Iran news, official pronouncements and opinions. The idea of Iran as an aggressive threat to U.S. interests has become deeply embedded in the country’s electoral and bureaucratic politics. That assumption has been translated into laws and programs that have created new institutional interests in maintaining the status quo. Not the least of those interests is that Iran has long served as the primary rationale for the U.S. military presence and role in the Middle East, as well as for the sale of weapons and anti-missile systems to regional allies. Iran has also long become a major focus if not the leading target – of CIA and National Security Agency spying efforts worldwide. Obama’s apparent view that Saudi Arabia can serve as a partial substitute for direct U.S. military operations in order to combat terrorism and Iranian influence in the region has added yet another obstacle to the realignment of U.S. regional policy. Six months after the nuclear agreement was first signed in July 2015, Obama has shown no willingness to break openly with the Saudis on Syria or Yemen, despite the recklessness of Saudi policies in those countries. The recent moves by the Saudis to raise tensions with Iran suggest that the Saudis are still hoping to force the Obama administration into a more aggressive anti-Iran posture in the region. That may well fail, and in the long run the U.S. may well adopt a more even-handed posture toward Iran to deal with the chaos that has descended on the region. If and when that happens, the nuclear agreement will not have loomed very large in the decision. No reason to change the subject or grab for irrelevant straws when the spy swap still remains incomplete, especially the role, condition, and whereabouts of former FBI agent Robert Levinson since his family and President Obama continue to proclaim that he must be returned too. Seems most unlikely to me as he knows too much, and has played too big a role to ever surface, much less be returned to the States. Levinson disappeared in 2007 when he was visting Iran’s Kish Island, hoping to make contact with an alleged informant who would help him overthrow the regime, like Kermit Roosevelt had done a half century ago. Actually, the informant was a Iranian foreign intelligence plant, and Levinson’s problems increased when arms dealer Ahmed Ardebili went missing. While being held in solitary confinement, and US covert operations against nuclear states continued, Levinson told Tehran enough about what the Pentagon had done to Iran, especially the National Reconnaissance Office-made earthquakes to keep Iran on side during the Gulf Wars, and what happened to the Chinese nuclear establishment in Sichuan in May 2008 that the Iranians were prepared to allow their nuclear establishment suffer a similar set back, provided it was provided nuclear weapons in return. Putin’s Russia was willing to do so, provided it facilitated US agreement to a new START treaty. 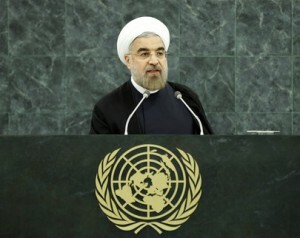 Levinson or an Iranian agent acting for him informed the Obama administration that Iran was planning to test a nuclear weapon at an underground nuclear test site, east of Hosseinabad in central Iran, and it was collapsed by an earthquake in December 2010. Seems US spy Ahmed Hetmadi was involved in the process, and was arrested after the matter had cooled down. Wheeler had made all kinds of complaints about what the Agency was doing to Iran’s nuclear program. Given the secret delivery of Russian nuclear bombs to Tehran, and their being hidden deeply underground somewhere in Iran, the Ayatollah was willing to agree to the dismantling of its nuclear program since there was no need to produce any more. WP reporter Jason Rezaian was captured in due course, making it appear that he was collecting similar information about other underground facilities, but it was essentially a ruse to make the Americans believe that they were in control of nuclear developments. When the Pentagon finally learned what was going on, it attempted to turn the clock back by intruding into iranian waters in such an obvious, weak way that Tehran would take the bait, but it knew that it was just too little, too late. There is no way that Levinson can turn the clock back. You (or anybody else) might be interested in this “Summit on Saudi Arabia” at UDC, March 5-6. Codepink, along with The Nation Magazine, Institute for Policy Studies, Peace Action, and many other organizations (see below), is hosting a two-day summit examining the policies and practices of Saudi Arabia and U.S.-Saudi ties. Schiffman’s reporting of Operation Shakespeare was intended to make Iran so mad that it would kill those officials around New Castle who brought Aldebili into the USA, and where John P. Wheeler, III resided. If his body had been disposed of as planned, we would finally be hearing from NSA that the Mullahs did it or the traitor was hiding out in Iran. And we might not hear of Robert Levinson’s fate ever. Hardly just a cheap promotion of the DHS..
Schiffmanâ€™s reporting about Schiffmanâ€™s reporting of Operation Shakespeare certainly was intended to make it appear that Iran was so mad that it would kill. The “Longest-Held Americans in History” hoopla is cheap promotion for, um, something. Guess we’ll have to wait until the Israelis supply those “elite” keystone cops at Homeland Security with another laptop. they can hardly be kept straight (NATO etc). The US comments about “bad behaviour” are ridiculous. there is no room here. Surprised there is no mention of the exchange of spies between Tehran and Washington, especially since former FBI agent Robert Levinson is still nowhere to be seen. Did he disappear in response to the disappearance of Iranian arms dealer Ahmed Ardebili? Was Levinson subjected to torture in the hope of making him explain what happened to Ardebili? Did Levinson die because of the stress or was he actually killed? Despite all the hoopla about Operation Shakespeare, what happened to Levinson, and leaker John P. Wheeler, III – who was set up by Washington to take the heat for it, and whose murder was only discovered by accident – it still haunts both capitals. Operation Shakespeare was all about hoopla. This extraordinarily well-finance “sting” was a desperate effort to create the illusion that Dubya’s elaborate Homeland Security apparatus had some value. The tale included the obligatory laptop. At least they didn’t find this one in a cave. Yep, Homeland Security sure is great at protecting Israelis. The Times does not call for any legal or economic repercussions against the United States. The U.S. government’s $1 trillion program to upgrade its nuclear weapons is not in any way presented as a grave threat that affects the rest of the world. They don’t demand controls by outside powers the U.S. must strictly adhere to, as they do for Iran. Their framing of the story and absence of any editorial condemnation makes it clear the paper views the actions of the U.S. government as unquestionably beyond reproach. The paper’s calls for the strict enforcement of the nuclear deal and application of new sanctions on the Iranian government are not grounded in any moral or legal principles. They are a reflection of the Times’s acceptance of the U.S. government’s patronizing doctrine that threats to peace only emanate from countries outside of American control, who must be dealt with using coercion and punishment that the U.S. itself is always exempt from. Tzahal (×¦×”×´×œ), also known as Tzva Hahagana LeYisra’el (×¦Ö°×‘Ö¸× ×”Ö·×”Ö²×’Ö¸× Ö¸×” ×œÖ°×™Ö´×©Ö°×‚×¨Ö¸×Öµ×œ) or “The Army of Defense for Israel” has been counting on this nuclear thing to give them the umbrella of protection over their nefarious activities, and they object to this precisely because it takes that umbrella away. Israel must surrender its nukes and submit to IAEA inspections.